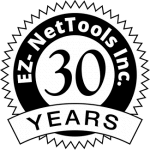 EZ-NetTools Inc. is hiring an Online Training Developer. Work with staff to collect content and assemble online training courses for our website Launch 2 Success. The Applicant will develop courses that teach about Online Marketing and other topics related to running an online business. Some training will be provided. Successful applicants will need good Internet and computer skills as well as good organizational skills. Create basic graphics from screenshots. Ability to independently learn and apply new skills.